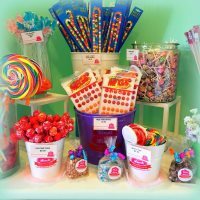 Find the best candy shops in MD to bring your kids to! Need to know the best place in MD to get a sugar rush? For candies, chocolates and other sugary treats, check out our list of the sweetest candy shops in Maryland. Best Salted Caramels in Maryland! North East Chocolates invites you to step back into your childhood with their selection of exquisite chocolates and nostalgic candy. They value the traditions of quality, atmosphere and customer service. Voted 2017 "Most Loved Candy Store" by Hulafrog, 2017, 2016 "#1 Sweets" by Cecil Whig Readers, and 2017 Trip Advisor Certificate of Excellence. 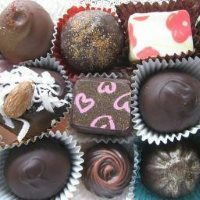 North East Chocolates is famous for their chocolate-dipped Sea Salt Caramels and 70+ varieties of creamy, homemade fudge! They also carry truffles, creamy peanut butter cups, cherry cordials, turtles, chocolate pretzels, and much more...and that's only the chocolate. This Maryland candy store has a jaw-dropping selection of throwback candy including wax lips, candy buttons, Pez, Razzles, candy cigarettes and chocolate Necco wafers packed into their adorable itsy bitsy candy store. Other goodies such as Fisher's Popcorn, doggie treats, and Jelly Belly sweeten the deal even further. North East Chocolates is the perfect candy shop to feel like a kid again! Indulge your sweet tooth with a yummy treat from It'Sugar! One of the largest specialty candy retailers in the world, this candy shop in Maryland offers a wide selection of sweet treats, including supersized candies, chocolates, gummies, novelty candies, retro candies, and sugar-free candies. Fun fact: It'Sugar is also where you can find the world's largest pack of Nerds. Now that's sugar heaven for kids and kids-at-heart alike! 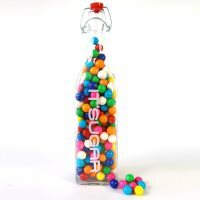 Aside from confections, It'Sugar also offers apparel, accessories, and novelty gift items. It has lots of branches across the country, including one in Baltimore. Visit their other Maryland locations in National Harbor, Gaithersburg and Arundel Mills, MD for sweet treat. Visit their website to see all the goodies they offer. Best candy retailer in Maryland! Established in 2003, the Candy Store is a full-service candy shop offering a wide variety of chocolates and candies for all occasions, from birthdays to bar/bat mitzvahs. You can buy in bulk from this candy shop in Maryland, have it wrapped up in custom packaging and give it to a special someone. You can even have your company logo stamped on items for a personalized touch! This is not your average candy shop. They sell lollipops, chocolate-covered pretzels, nuts, dried fruit an so much more. They also have a large selection of kosher products. For those who are watching their sweet tooth, The Candy Store offers sugar free candy. Visit their website for more information on this MD sweet shop. Rheb's Homemade Candies has a long history behind it. Their story began in 1917, when a newlywed couple started to make and sell homemade sweets. The yummy confections proved to be a hit, and in 1950, they converted their garage into a candy store. Today, this candy shop in Maryland still operates out of that same house, with the third generation now holding the reins. What are the secret ingredients to their success? Sugar? Milk? Extra chocolate? No, Rheb's relies on "quality, service and value" to bring you the best chocolates in Baltimore, MD. 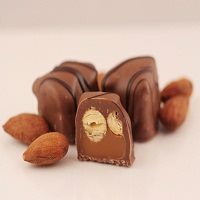 Try their selection of chocolates, creams, truffles, fudges and nuts that made them famous. Visit their website to see their delicious selections. Fudge, and some music to go with it! In 1980, The Fudgery has been cooking up the best fudge the world has ever known. They serve up fudge and fun all across the US using only the finest ingredients. The next time you're craving a sweet treat, drop by The Fudgery in Baltimore, MD. Want some entertainment to go along with your fudge? 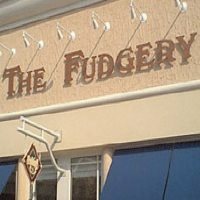 Visit the Fudgery! This candy shop in Maryland is famous for its team members who entertain customers with songs as they work. What a treat for your mouth and ears! In fact, this Maryland candy shop has produced an R&B group sensation--Dru Hill! Dru Hill has made appearances on The Howie Mandel Show and Live with Regis and Kathie Lee. Wockenfuss Homemade Candies is one of the top candy shops in Baltimore, Maryland. It is also among the oldest candy makers in all of Maryland. For over 100 years, Wockenfuss Homemade Candies has been serving up deliciously sweet treats. Caramel apples, creamy fudge, lollipops and chocolate-covered nuts are only a few of the products sold at Wockenfuss. Where else can you find specialty items like crystallized ginger and fruit-shaped marzipan? Only at Wockenfuss. Wockenfuss Homemade Candies in Maryland is definitely a name of great taste. This family-owned store has been delighting generations of candy lovers. Stop by any of their great MD locations, or visit them at their website. 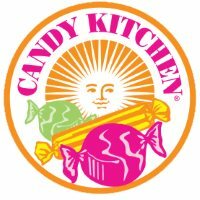 The Candy Kitchen has been making homemade salt-water taffy, creamy fudges, delicious chocolates and candies since 1937. As the country emerged from the Great Depression, folks had a taste for the sweeter things in life. An ambitious young man named Sam Taustin started selling homemade fudge and saltwater taffy with great success! This family-owned business carries on that same tradition. Candy Kitchen takes great pride in making all of their candies the old-fashioned way with only the freshest and finest ingredients. 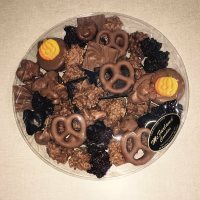 Try anything from their extensive selection of chocolate, pretzels, gummies and more. Be sure to check out all of their sweet locations! The Olympia Candy Kitchen is one of the sweetest candy shops in Maryland. They started their journey in Chambersburg, PA in 1903 as a candy store and soda fountain. In 1986, they opened their second store in Hagerstown, MD. The Olympia Candy Kitchen is specialized in the finest quality chocolates, candies and other sweet confections. The Olympia Candy Kitchen provides all of your favorite candies like sea salt caramels, peanut bolsters, chocolate turtles, mint straws and so much more. At Olympia's Candy Kitchen, you'll also find many lovely Victorian and traditional American gifts, such as tin ware, porcelain collectibles, nostalgic framed paintings and cute, cuddly stuffed animals too. 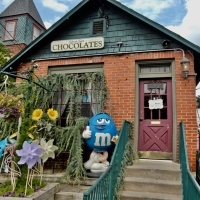 Don't wait to visit one of Maryland's most beloved chocolate shops. Visit their website for more information. Bomboy's Candy is a family-owned candy business that promises fine quality chocolates with delicious taste. They started the journey in the spring of 1978. All chocolates and candies of Bomboy's Candy are made from the original recipes created over 35 years ago when they first started. However, that doesn't mean Bomboy's Candy is stuck in the past. They are constantly educating themselves on the newest methods of candy production. They use state-of-the-art candy molding techniques that few people employ elsewhere. See for yourself why Bomboy's is a Maryland favorite. They offer chocolates, pretzels, truffles, nuts, non pareils and so much more. Can't decide what to take home? 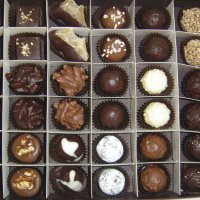 Build a box to hand-select an assortment of different chocolates. In addition to sweet standards, try innovative creations like their maple walnut creams, Irish creme truffles, peanut butter puffs and sea salt toffees. For those who just can't get enough, they also offer jumbo-sized treats. Visit their website to see all of their delicious products. 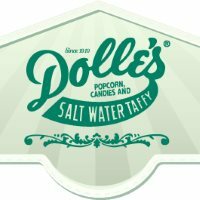 Dolle's Candyland is a fourth generation candy company that has been manufacturing delicious salt water taffy, buttery caramel popcorn, creamy fudge, and other sweet treats since 1910. After 100 years of business, Dolle's Candyland has made some exciting changes. 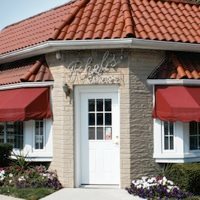 In addition to their original flagship store on the boardwalk, they have also opened up two new locations: Dolle's Express and Dolle's Experience. The Kandy Kar is a throwback to the original traveling food truck and appears at numerous events throughout Maryland. One thing that hasn't changed is their commitment to quality and customer satisfaction. Visit Dolle's Candyland to enjoy an unforgettable taste of various kinds of candies from Ocean City, Maryland's most famous candy shop. 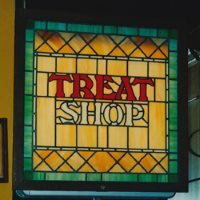 For over 70 years, the Treat Shop and Chocolate Factory has been a Westminster, MD tradition. It is difficult for children and parents alike to walk past without wanting to try these amazing treats. They make over 20 varieties of fudge, including innovative flavors like M&M, orange cream and maple walnut. Make a visit to the Treat Shop and Chocolate Factory as soon as possible to be charmed with a unique taste. If you can't make it out to the store but want to experience the gourmet, hand-crafted chocolate that made them famous, visit their website and order online. They ship nationally, except during the summer, when they only ship throughout MD. They specialize in preparing delicious chocolatey treats for special occasions, like Valentine's Day, Christmas, Mother's Day, Easter and birthdays. Thousands of smiles. Three generations. One great chocolate. Since 1944, the McFarland family has been providing Maryland with sweet treats and amazing chocolate. The recipe behind these creations will always be a McFarland family secret. One thing McFarland Candies will tell you is that their number one ingredient is "quality." They use real cream, and not butter, milk or margarine. Their nuts are baked and not fried. Each candy is carefully crafted, which is what gives this McFarland Candies its famous reputation. Best of all, this MD candy shop ships world-wide throughout the year. Visit their website to see what types of sweet treats you can find at McFarland's Candies. They sell ice cream, too! The Best of Luck is a premium candy and ice cream parlor in the heart of Baltimore, MD. They offer unusual, vintage and hard-to-find candies by the pound. Customers are encouraged to create their own delicious assortments of sweet treats. They carry old-fashioned candy bars, specialty chocolates, gourmet pretzels, fresh popcorn and so many other sweet treats! In addition to their candy selection, The Best of Luck also sells rich coffee from local roaster Zeke's Coffee. Their ice cream is provided by local creamery Taharka Brothers. Looking for a sugary gift or a sweet way to say "thank you?" The Best of Luck's signature custom gift baskets are overflowing with yummy treats. Have a unique party with a specialty candy buffets, goody bags and party favors. 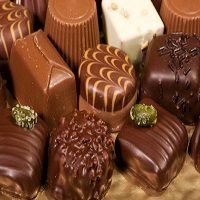 Visit one of the most unique chocolate shops in Maryland. Established in 2004 by a self-taught chocolate maker, Sweet Cascades Chocolatier offers delicious chocolate confections you can't find anywhere else. Don't stop at their selection of traditional chocolates. Sample their truffle menu, featuring the wasabi, blood orange, lavender and Jack Daniel's Fireball truffles. Try their maple bacon cremes, or their selection of chocolate barks. They are famous for their That's Crazy! menu. Where else can you find chocolate-dipped Fritos, Doritos and Cheese Puffs? This MD chocolate shop regularly hosts chocolate-making workshops where you can learn to make (and eat!) your own creations. Larry McGlinchey is the chocolatier mastermind behind Cacao Lorenzo, an award-winning chocolate shop in Maryland. He has completed 15 courses of study in chocolate, training under the finest chocolatiers in Europe. 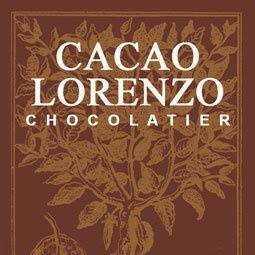 Cacao Lorenzo holds itself to the highest standards. All products are hand-made in their shop, and their recipes only use fresh, natural ingredients without trans fats, preservatives, coloring or excess sugars. Named after the region in Mexico where chocolate can trace its roots 3,000 years ago, Cacao Lorenzo sells premier candies and chocolate gifts. They are also a member of the World Cocoa Foundation, and will only purchase ingredients from WCF-approved companies. This underscores their commitment to improving economic, social and environmental concerns within the cocoa-growing industry. Named after town in Switzerland where the owner's father grew up, Glarus Chocolatier provides the finest Swiss chocolates in Maryland. Using family recipes dating back to 1957, Glarus Chocolatier uses traditional chocolate-making techniques without auxiliary machinery or sub-par ingredients. The Swiss tradition of quality chocolate making comes alive at Glarus Chocolatier. In addition to premium chocolates, they also create fresh-cream truffles, chocolate bark, all-natural chocolate sauce, chocolate bars and more. Favors and boxes are available for weddings parties and corporate gifts. 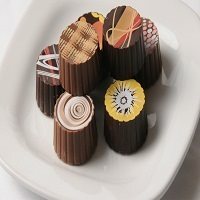 Glarus has been ranked #6 on Complex's list of Best Chocolatiers in America. Visit their website for more information.